Learn how love can transform and heal our lives even during our last days. In Part 6 of the Mortal Wisdom Series I’ll discuss how our broken hearts allow us to expand our capacity to carry and transmit pure Love. Throughout life we are broken open by love in many different ways and must learn to remain open to love rather than hardened and resistant to it so that we can find peace at the end of life. These are the lessons we can learn from our mortality and how to thrive in life while knowing that death awaits. Listen to Parts 1- 5 first if you haven’t heard them yet! Carry your heart through this world like a life-giving sun. If you enjoy this content please share it with others and consider leaving a review on iTunes! Thanks again to all supporters on Patreon.com/eolu, especially my new Patrons, Meina Dubetz and Deborah Luscomb! Next she begins the Update for September by talking about the new documentary film currently streaming on Neflix: Extremis, which won 1st place at the Tribeca Film Festival. Please see this film which takes place in the ICU at Highland Hospital in Oakland and features Dr. Jessica Nutik Zitter. This is a must-see film that brilliantly depicts the conundrum that exists at the end of life when painful decisions must be made. 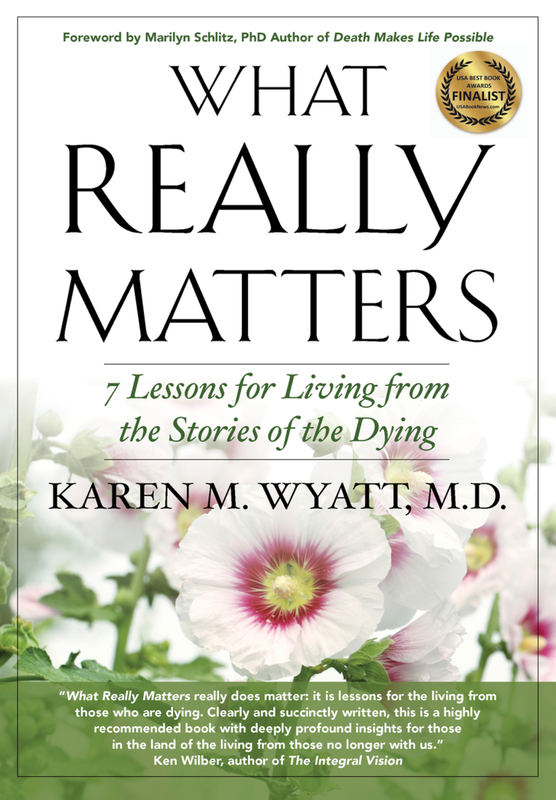 By showing the real-life conversations that take place in the ICU between staff, family members and patients, a case is made for everyone to complete their advance directives and prepare their loved ones to honor their wishes at the end of life. But the painful process of decision-making becomes apparent as each individual struggles with the unknown and the unknowable in these dire situations. BMJ Online report that patients who receive hospice care for the last 6 months of life have better pain control, fewer hospital days, and are less likely to die in the hospital or ICU. Researchers at John Hopkins found that their palliative care program led to savings of ~ $19 million over 5 years in addition to improved quality of care and patient satisfaction. Study originally published in Health Affairs and reported on Reuters online showed gaps in palliative care in the US. Read the article. “What it feels like to die,” an article in The Atlantic discusses the active dying process from the patient’s perspective. Read the article. Friends and Family Letter Project by Dr. VJ Periyakoil at Stanford includes 7 prompts for letter writers to leave messages for their loved ones. Read the article. “7 Songs for a Long Life” documentary from Scotland that depicts how terminally ill patients use singing as therapy. Read the article. The Friendly Atheist Julie Stahl reminds us not to impose our own religious or spiritual beliefs on those who are grieving and may not share your perspective. Read her blog. Thanks for tuning in to the podcast! I hope you enjoy this information. If you feel inspired to offer a little support go to Patreon.com/eolu to join the community! Face Your Fears. BE Ready. Love Your Life!!! Ep. 56 End-of-Life Book Showcase! I hope you’ll check out these amazing and inspirational books and include some of them in your book club or add them to your library!